(New York, NY – May 16, 2017) – Hiteks Solutions Inc., a medical informatics software company focused on EHR integrated clinical workflow solutions, was selected by Prime Healthcare Services, a nationally recognized health system with 44 hospitals in 14 states, to be the software provider for the improvement of Prime Healthcare’s real-time active sepsis surveillance and other quality conditions. Sepsis, due to its rapid onset and the diverse assortment of variables that influence the nature of how to treat it, is the single most lethal illness in American hospitals and is actively monitored and reimbursed by CMS for provider compliance with Core Measures reporting bundles. Hospitals that show compliance with sepsis Core Measures have also been shown to reduce morbidity and mortality in patients who succumb to sepsis and related conditions (i.e. severe sepsis, septic shock). According to Hiteks’ CEO Gerry Petratos, MD, MS: “Computerized methods have previously been shown to have a positive impact on sepsis quality care and clinical workflows due to the enhanced ability to identify potential cases through data algorithms applied to clinical records.” Hiteks continuously applies its clinical Natural Language Processing to find infection sources, and artificial intelligence software to identify lab results and vital signs from real-time data feeds from the EHR system. Once a combination of the triggers are found which meet the SIRS (Systemic Inflammatory Response System) criteria, Hiteks issues alerts, which have been found to be over 90% predictive of a sepsis case, to the performance improvement team who in turn will contact the charge nurse and/or hospitalist in charge of that patient. These alerts provide advice on the current status and next steps such as initiating a sepsis protocol or administering fluids or antibiotics. Prime Healthcare and Hiteks extract data from MEDITECH and Epic to provide data availability from the EHR system which enabled the Hiteks software to be applied as a hosted service. According to Hiteks’ Chief Medical Officer, Martin J. Coyne, MD, MS: “The greatest challenge with sepsis is in determining the timing (known as Time Zero) of the specific diagnosis in a family of Sepsis conditions from which the patient is suffering. This varies between latent/early sepsis, sepsis, severe sepsis, or septic shock. Physicians must make this determination in a timely manner, typically within a 3-hour window which requires a sepsis protocol to be initiated to improve the chances of cure. Depending on the nature of the patient’s illness, physicians must adapt the mixture of fluids, antibiotics, vasopressors, and in some cases steroids accordingly. But due to sepsis having such a rapid onset, the window of time in which physicians must be able to make this determination is too small (3 hours) to make on his or her own.” Hiteks continuously processes structured lab (Lactate and Creatinine) and vital sign (Temperature, Heart Rate, Blood Pressure) data, along with mentions of infection sources (Pneumonia, Appendicitis, etc.) and chronic co-morbidities in physician notes to more quickly diagnose sepsis within the 3-hour window. Hiteks introduces textual identification of infection sources in combination with the Systemic Inflammatory Response (SIRS) criteria to enable a high true positive rate when it comes to Sepsis surveillance. In addition, Hiteks uses chronic diseases identified in the notes to adjust lab result thresholds (i.e. Lactate, Creatinine) so that these do not create false positives. This has improved patient safety and helps healthcare systems to benefit from automated surveillance to increase quality scores due to the higher likelihood that Hiteks can identify cases sooner. Finally, Hiteks reduces the resources required to abstract data for Core Measures reporting, saving time and money to achieve an accurate compliance rate with CMS. Prime Healthcare is an award-winning national hospital system with 44 acute-care hospitals providing more than 43,500 jobs in 14 states. 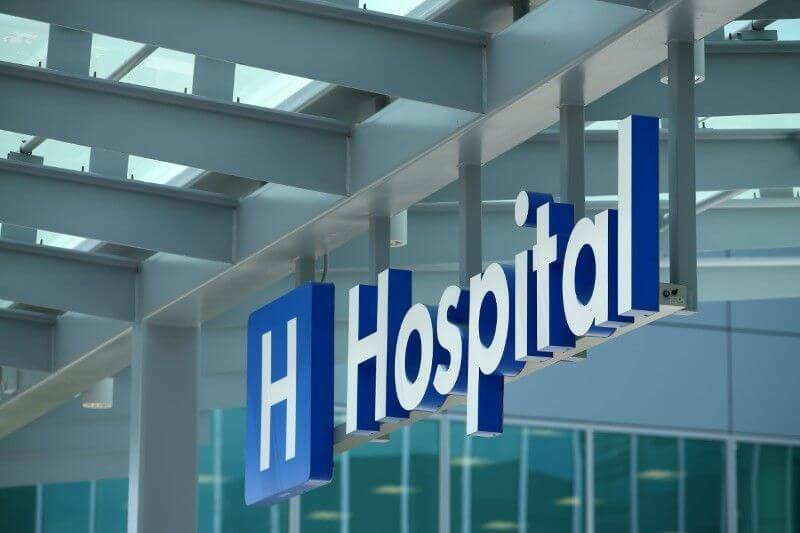 Fourteen of the hospitals are members of the Prime Healthcare Foundation, a 501(c)3 public charity. Based in California and one of the largest hospital systems in the country, Prime Healthcare is committed to ensuring access to quality healthcare. It has been recognized as among the “100 Top Hospitals” in the nation 38 times and among the “15 Top Health Systems” three times, and is the only “10 Top Health System” west of the Mississippi. For more information, please visit www.primehealthcare.com.